Police in Galloway Township, New Jersey have arrested a man found in possession of numerous unlawful firearms and drugs. GALLOWAY TOWNSHIP, N.J. (WPVI) -- Police in Galloway Township, New Jersey have arrested a man found in possession of numerous unlawful firearms and drugs. The incident occurred just after noon on Friday when officers responded to the 200 block of E. White Horse Pike for a report of a suspicious person possibly in possession of a firearm. 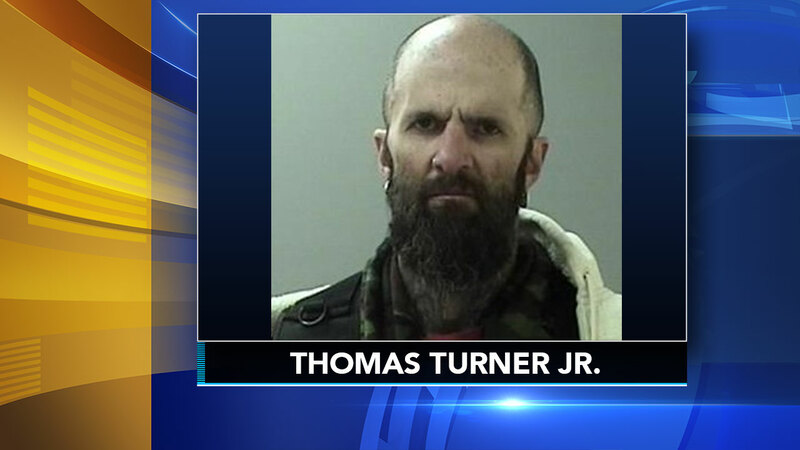 Upon arrival, police located 42-year-old Thomas J. Turner of Galloway, New Jersey, who was wearing a black tactical vest and carrying a backpack. According to police, while officers were speaking with Turner they discovered that he was carrying an assault firearm, along with a 30-round extended magazine loaded with 17 bullets. He was also found to be in possession of 15 grams of methamphetamine, drug paraphernalia and other suspicious items. During the investigation, police obtained a search warrant for a storage container that was leased by Turner. While searching the storage container, police found heroin, various weapons, a variety of ammunition and two additional extended magazines. Turner was taken into custody and faces a number of felony charges.